Macaulay Point is now a nicely maintained park in Esquimalt, BC, with walking trails overlooking the shore. It contains protected plant life and structures left over form its days as Fort Macaulay, also known as Macaulay Point Battery. It’s been a busy summer, so far, and while I’ve been having a great time, I’ve had less time than usual for photography (and subsequent post-processing). The good news is that I spent a couple nights at Fort Rodd Hill and Fisgard Lighthouse National Historic Sites, where they have “oTENTiks”. 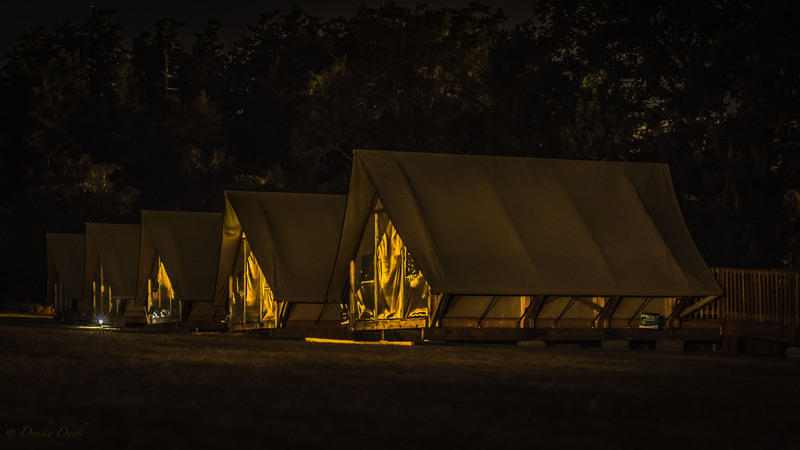 These are great, as there are only five of them at the site (only two occupied on the nights I was there), and the occupants get to stay and explore the sites after they are closed and everyone else is locked out!